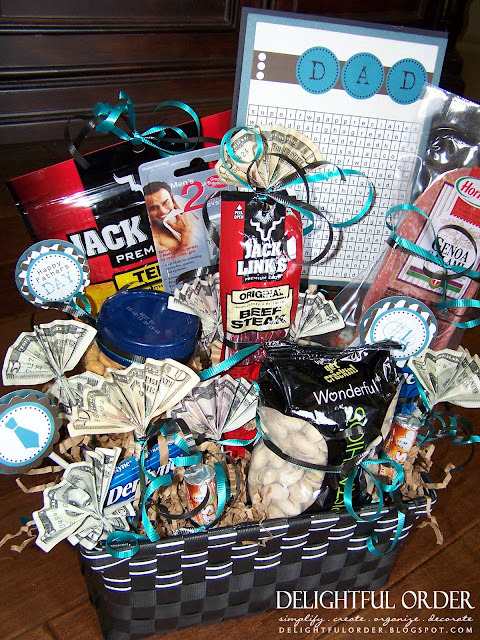 Today I put together a father's day gift basket for my husband. 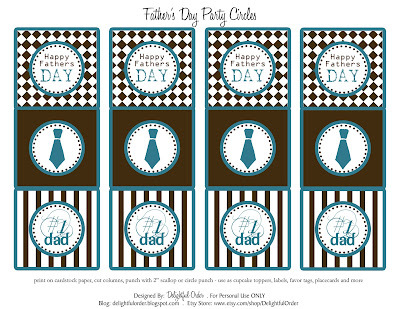 I'm excited to share the finished product with you AND I appreciate ALL of my readers so much that I'm giving you some FREE father's day printables!! My man really doesn't have a sweet tooth, so staying on the same lines as the candy bouquets that I've made, I created a basket more suitable for him. This is the kind of thing that he likes. 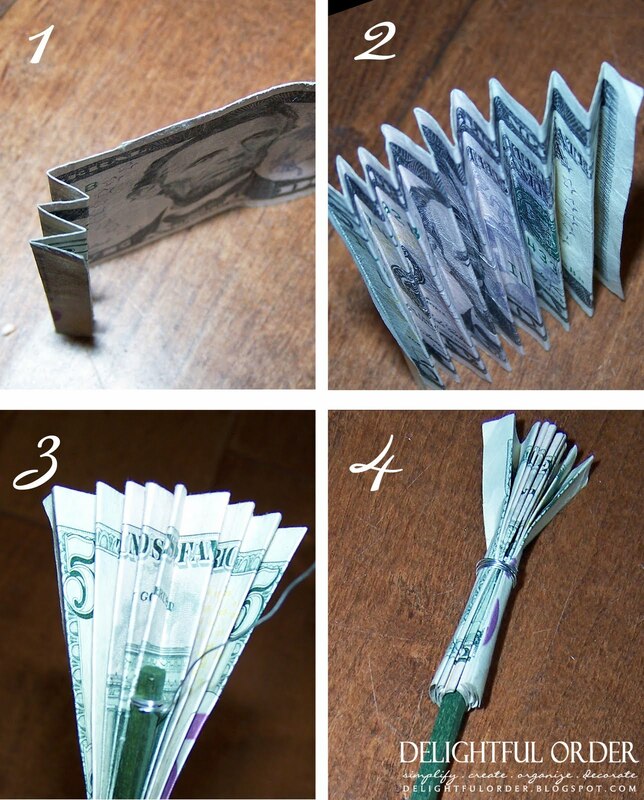 Below is a quick tutorial, showing you how I did the money folds. and simply fan out both sides. 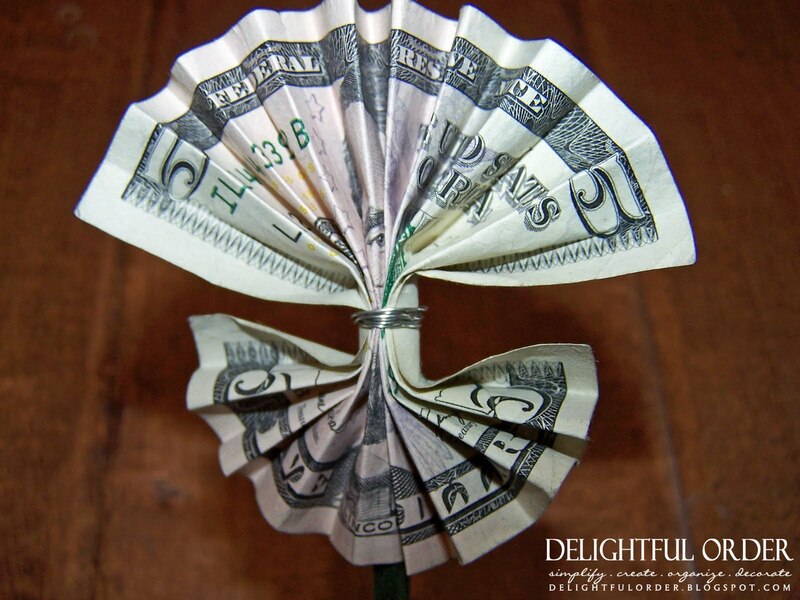 Another fun idea would be to get a coffee mug and make an arrangement just with money. In the past, I've also used sticks and made a money tree, attaching the bills with ribbon . Little clothes pins, paper clips or binder clips would work well too. I saw this word search card as a feature over at Tatertots and Jello and thought it was so cute - so I copied was inspired by the idea and created my own. I'm really hoping there aren't any bad words in mine. You know how it sometimes goes, when your adding letters, you just never know if you're going to spell out a word by accident. 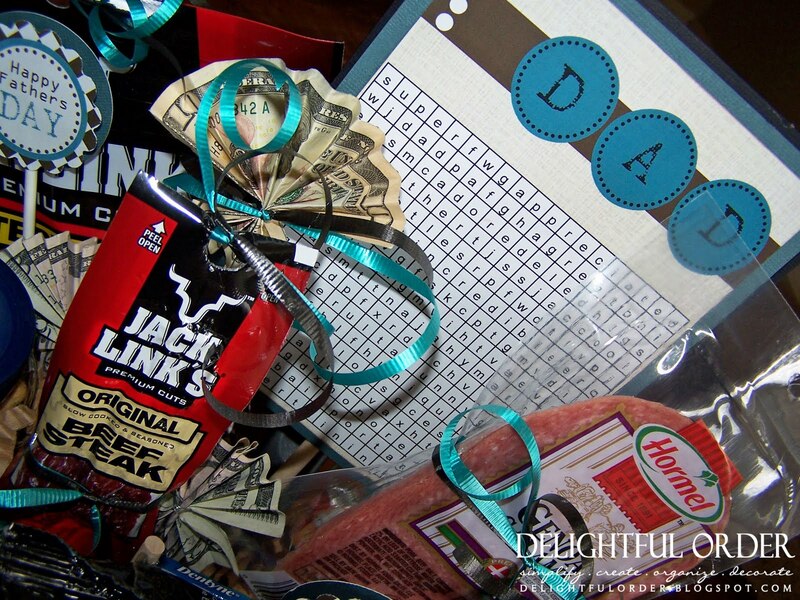 All the words ARE suppose to be what a dad is... super, incredible, smart, respected, loved, etc. The party circles can be used for anything! From cupcake toppers, to tags, to party decorations and more. Just click on the images above to open in GOOGLE DOCS, then go file, print PDF. How about you, have you got your Father's Day gifts yet? Wowsers! I love this! Thank you for letting me know about it. Thanks for the ideas! 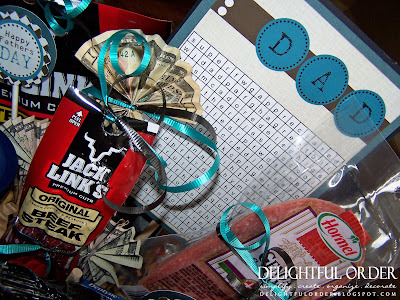 Fathers Day is always so hard for me to think of things as my Hubby has everything! Love your blog!! Its so cute!!! I am your newest follower!!! i would love to feature you on my blog. so let me know!! :) So if you would like to go and check out my blog and follow me too! That would make my day!!! :) I am so excited to start blogging and share my ideas on food, crafts, and mineral make-up. I will also be doing giveaways on stuff, like mineral make-up. So look out for it! Thank you for the fantastic father's day ideas! 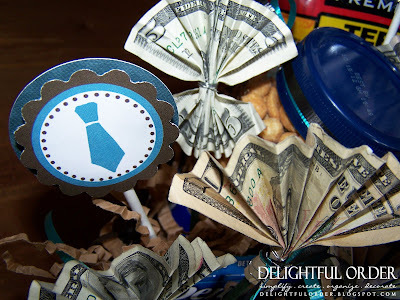 Love the basket and the printables you created! Thank you soooo much for these. 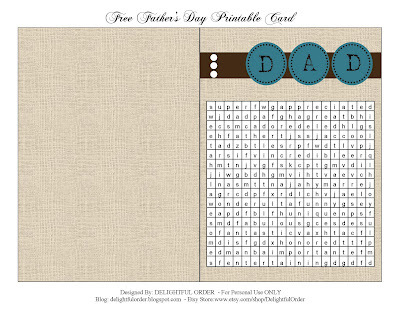 I love the card and was thrilled you made it a free printable. The next few days are crazy for me and I just didn't know what I was gonna do for dads in my life. Whew!!! You saved me. I am one of your followers but found this link through pinterest- gotta love pinning! 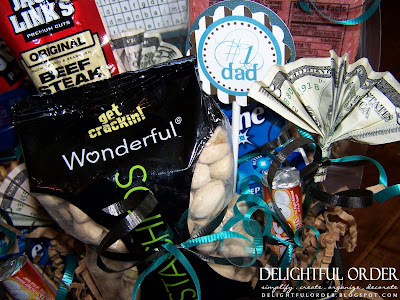 I featured this idea today on my blog in a post of cute Father's Day gifts. Thanks so much for sharing the idea and all of the great printables! Thank you for all the great ideas!! Was looking for some christmas presents and found this. great ideas! 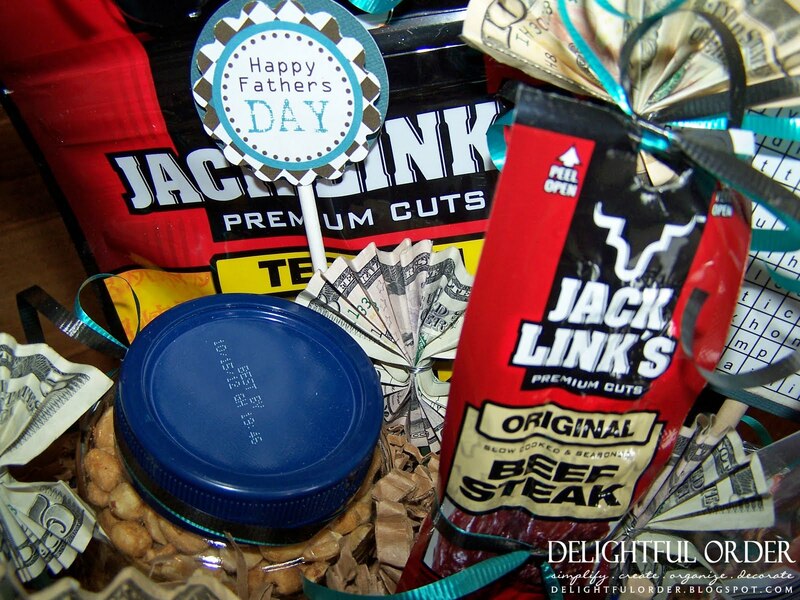 next fathersday is coming for sure.. ;) thanks! Great ideas!! My dad would love the sports ideas! Thanks for sharing them with us! These are all great ideas! I just wished I read this before father's day. But it's fine. My father got touched with my gift last father's day. And I am happy about that. Will think of these stuffs on his birthday. I love this idea. I think I might write one to my daughter on the first day of school every year.